Two-piece dress, white, consisting of a delicate cotton slip and a slightly transparent chiffon overdress with a faded finish. Simple elegance. To match: Trousers ELP186058605 col. 01001 Bianco. 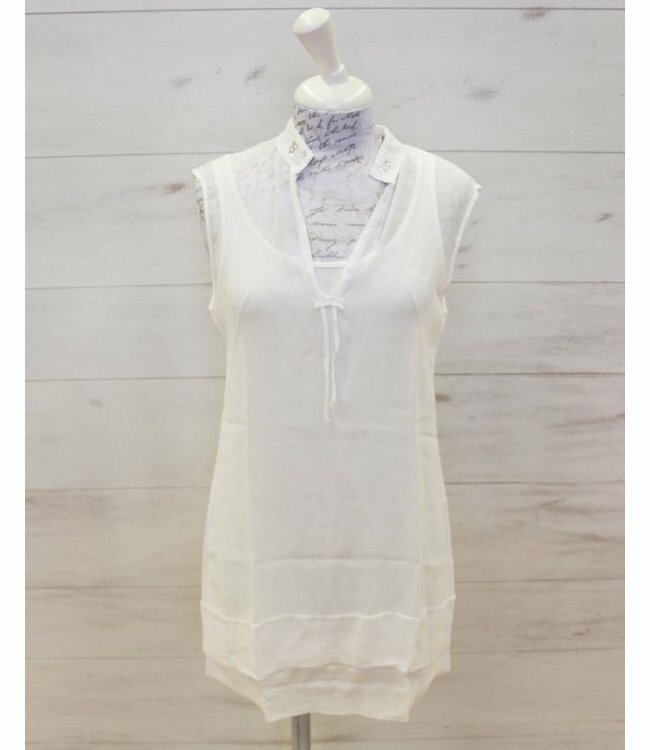 Two-piece white, Americano, consisting of a delicate cotton slip and a slightly transparent chiffon overdress with a faded finish. Simple elegance. To match: Trousers ELP186058605 col. 01001 Bianco.